This amazing new product is great for travel. 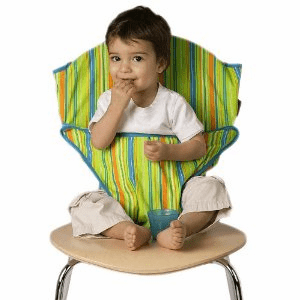 The travel highchair is a great washable, squashable highchair. 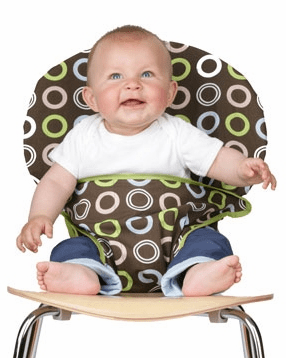 The highchair fits in a small cloth pouch that can be easily carried anywhere. Fits all chairs. Six great colors.